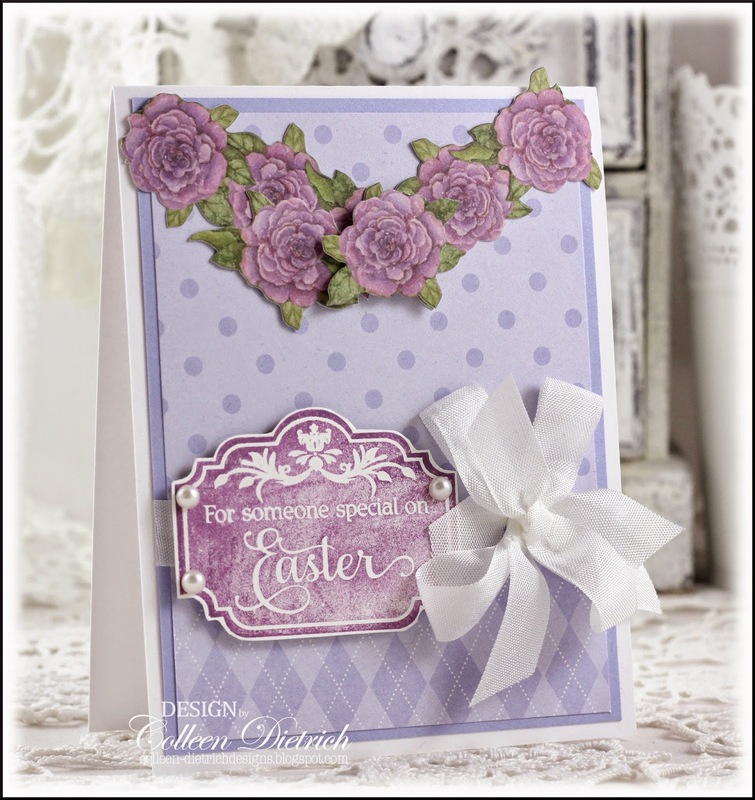 The sentiment panel is from Inspired By Stamping, inked with Purple Hydrangea VersaMagic. The result was a slightly-distressed looking effect, which is not how it was supposed to be, but I like it anyway. Thank you so very much for dropping by today. I hope your Easter is filled with Joy! Stamps: Easter Labels - Inspired By Stamping Paper: white - PTI; Almost Amethyst cardstock and patterned paper - SU Ink: Purple Hydrangea - VersaMagic - Tsukineko Fibers: white seam binding - Hug Snug Accessories & Tools: pearls; purple flower die cut strips - K & Co.
Labels: Easter, Inspired by Stamping, K and Co.
Colleen, this is the perfect Easter card! Brilliant color choice -- purple is the regal color fit for a king, and this is exactly the occasion to use it! Lovely flowers, brilliant layout. I hope you have a blessed Easter! What a special card Colleen. Happy Easter. Absolutely GORGEOUS!!!! I loveeeeeeeeeeee the colors!!!!!! I know how much you love shades of purple and this is amazing. I am not great with purple but I really love seeing you working with it. So elegant! And a perfect match with our theme at CCB. Why don't you link this card up? Hope all is well with you dear; sending a big hug! Those beautiful purple roses are perfect for our Savior, perfect for an Easter card. This is stunning, but then again your cards always are!! Very pretty! Happy Bunny Day to you too! Oh, how pretty! I love the distressed look of the sentiment panel, and the flower border is gorgeous. Purple and green together is such a lovely combo. Wow! What a fabulous card, Colleen. Love those flowers at the top. 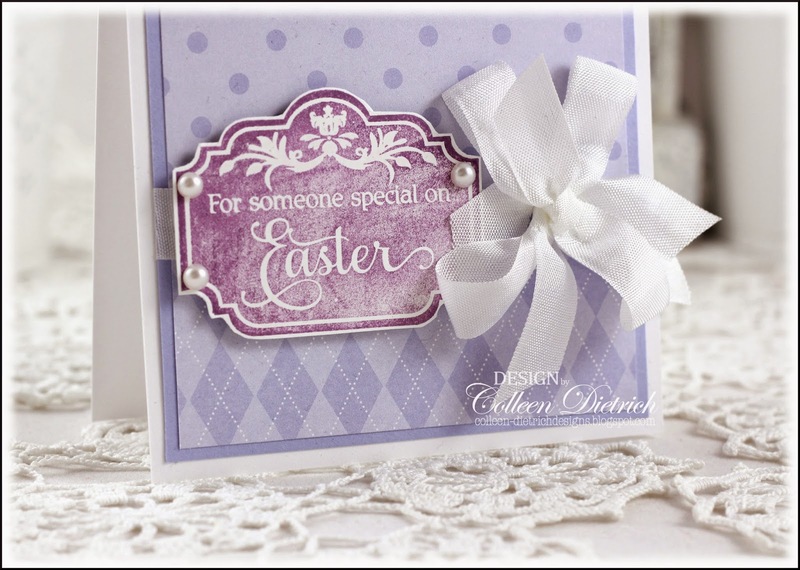 Purple is perfect for this Easter card.